Still looking for a children’s book for Christmas? Then let us suggest Mixed Up Fairy Tales. Hilary will be speaking at the National Children’s University Fourth Annual Conference on Thursday 8th December 2011. 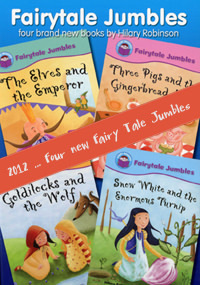 Four new Fairy Tale Jumbles in 2012! 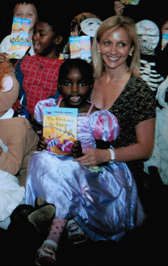 After the success of the first four stories in the Fairytale Jumbles series Hilary has been asked to write four more! We’re wondering what new fairytales will be created by mixing up two existing stories? We can’t wait to see! 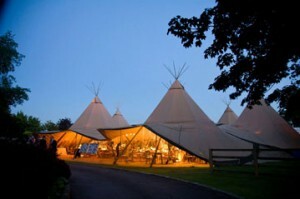 Publication date is due for 2012 … watch this space! Cinder Wellie is now in Arabic! Maybe Hilary should now write another Cinderella story about an Arabian prince who finds a silk slipper! 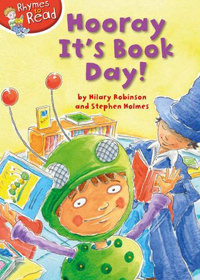 It was Book Day at our school. We dressed as characters from books. There were lots of Red Riding Hoods and lots of Captain Hooks. But where is the teacher? Join Hilary for stories and picture book fun when she appears at the Harrogate Children’s Festival Weekend on Saturday 9th July at 10am in the Papakata Tent on Crescent Gardens. You can find more information and book tickets on the Harrogate Theatre website. 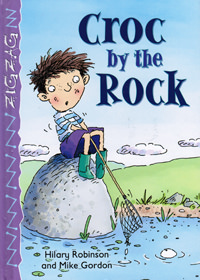 Croc By The Rock has just been published as a BIG BOOK! Does this mean that an ENORMOUS crocodile may now lurk in the lake? Hilary Robinson is bringing out a brand new book in June. It will be at least as good as all the books she has written so far, but there are rumours it might be even better! We can’t say much at the moment, but more will be revealed nearer the time. International rights for the The Princess’s Secret Letter and The Princess’s Secret Sleepover have now been sold to France, the USA , Greece, Spain, Portugal, Australia, Wales and Indonesia.